Blogging has been a little quiet for the last two weeks, and there is a very good reason for it. Behind the scenes I have been working on a very new, exciting project focused around one of my passions, yoga. 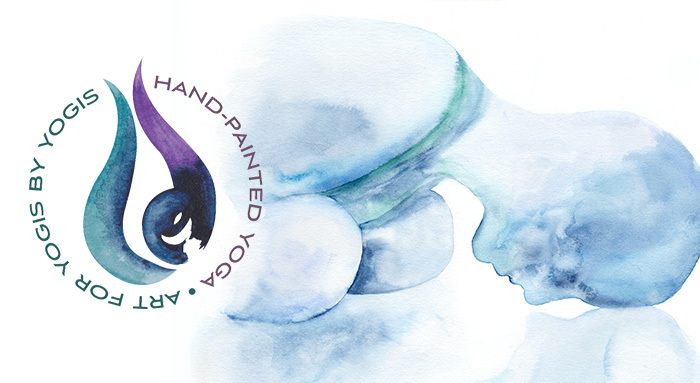 I launched this new venture, Hand-Painted Yoga, at the beginning of November in front of holiday shopping, and have been working on setting up Instagram, Pinterest, Twitter, Facebook, etc. Hand-Painted Yoga is an online shop featuring abstract art inspired by yoga philosophy. While I have geared the artwork towards yoga, the messages resonate with all humans in a very real, raw way. This is a very personal project for me, because yoga has and continues to impact my life in a deep way. You might be wondering why I chose to open up a yoga art business since I already have a wedding business, and what do the two have to do with each other. Well, the funny thing is that I was actually drawn to both yoga and weddings at the same time, 7 years ago. I started yoga while planning my own wedding as a stress relief as well as for physical posture reasons (frankly, I wanted to look good in my dress). While I was drawn to yoga for physical reasons, I have been fortunate enough to have teachers along the way that have instilled the philosophies of yoga alongside the physical sequences, and it is those spiritual connections, yoga philosophies that have kept me coming back and growing to a daily practice. More on what drew me to opening up a wedding business here. In collaboration with my yoga teacher I created abstract watercolors to express visually the phrases my teacher uses throughout class that inspire me far beyond the mat. My wish is that these expressions will inspire others as much as they have inspired me. In this world of ambition and aggressive work ethics, these messages are a breath of fresh air, encouraging the reader to live with intention and naked awareness. 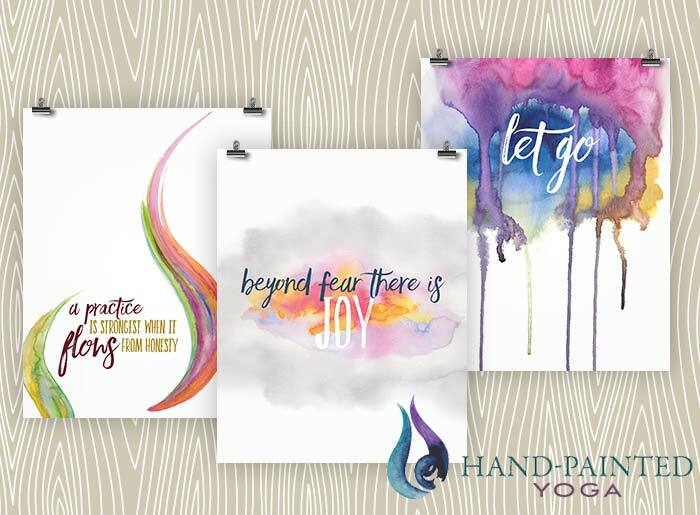 Go on over to the Hand-Painted Yoga website to learn more, and to shop for your loved ones this holiday season.